Greetings, welcome to my show of cards made on Oct. 2 (World Card Day). This card was designed and taught by Pam. I like its clean and simple look. I know all our guests were having so much fun because they were telling us at each table they came too. On to the shopping list for Pam's card. 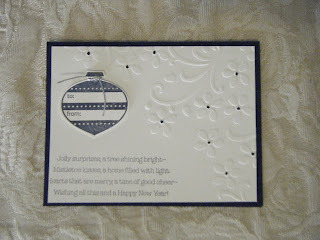 I love Pam's embossing and her ornament really stands out. 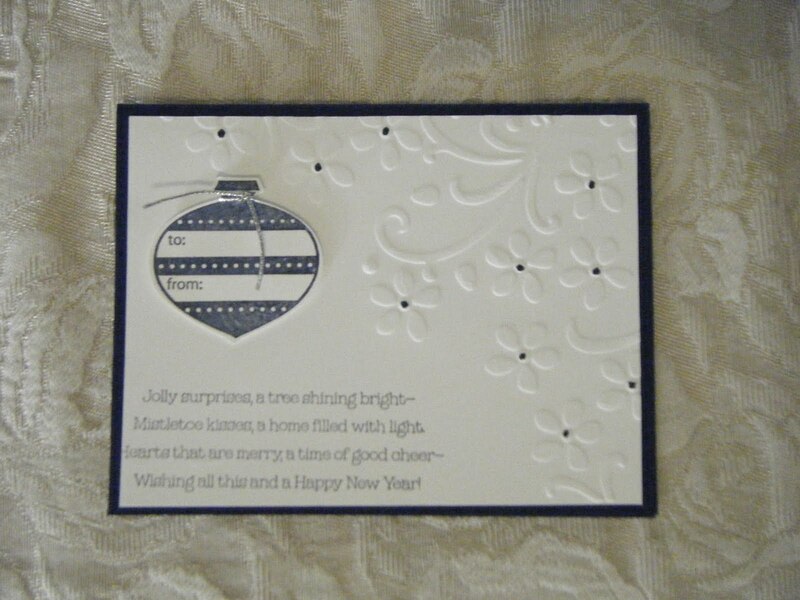 A simple and elegant card.